You’d think they’d learn from each other’s mistakes. Alas, such is not the case. Whether it’s the pressure of keeping up appearances, being hounded by paparazzi, or just being a jerk, celebrities just can’t seem to say no to an impulsory moment of rageaholicism. Let’s take a look at eight cases of celebrities losing their glitter in the eyes of an unsuspecting public. Undoubtedly one of pop music’s most enduring treasures, Mr. Loaf showed his sweeter side on a very special episode of Celebrity Apprentice, when the 67-year-old music legend went full-on berserker over some stolen paints. The target of his Loafdom’s ire? Gary Busey. 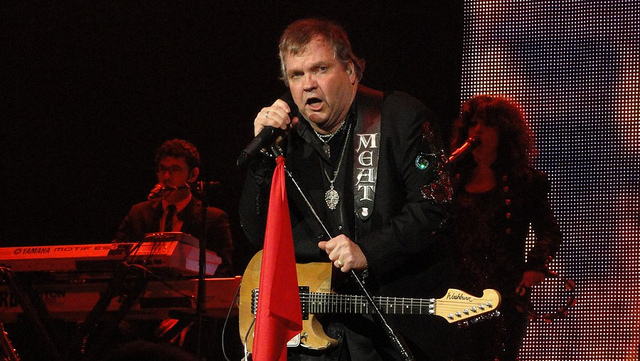 Meat Loaf unleashed a tsunami of profanity in a red-faced, spit-flying tirade on his co-star, to the unbridled horror of onlookers, who honestly looked like they didn’t know whether to duck or run. What else can we say about this, other than it’s truly a sad day when you can make Gary Busey look like the sane one in the room?